Magcargo in game: 508 Who? Important notice! 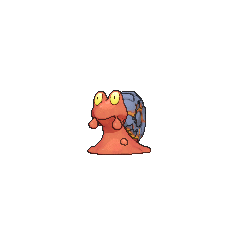 Pokemon Magcargo is a fictional character of humans. 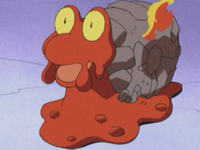 Magcargo first appeared in Some Like it Hot. A Trainer named Egan was trying to capture an unusually large Magcargo, later finally succeeding. 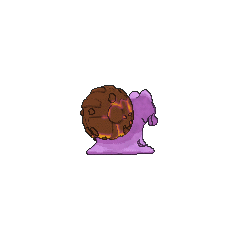 A normal-sized Magcargo appeared in Love, Pokémon Style!. Also, Macy's Slugma evolved sometime after battling Ash. 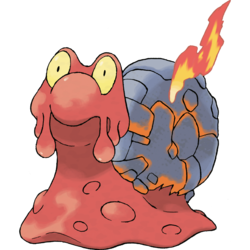 Flannery has a Magcargo that evolved from one of her two Slugma in Poetry Commotion!. A Magcargo appeared briefly in May, We Harley Drew'd Ya! under the ownership of a Pokémon Coordinator. A Magcargo appeared in Another One Gabites the Dust! participating in the Performance Stage of the Chocovine Contest. A Magcargo was used in the Battle Stage of the Daybreak Contest along with a Stantler in Playing the Performance Encore!. 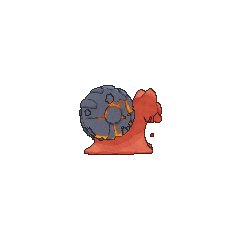 A Magcargo was one of the Pokémon sent to help the fight in Ilex Forest in The Last Battle XIII. 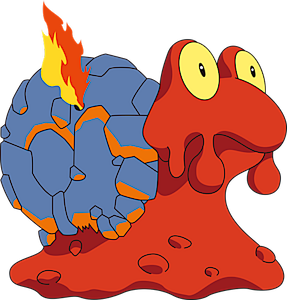 Another Magcargo appeared under the ownership of Flannery in Bubble Bubble Toil and Azumarill I.
Magcargo was also seen as one of the Pokémon used by Team Magma. 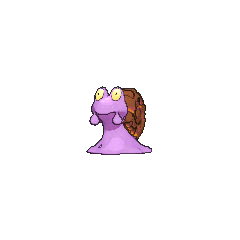 Magcargo has its sprite changed in Crystal from Gold and Silver, in this case, its shell is edited slightly, making it one of few Pokémon to have three different sprites in Generation II.